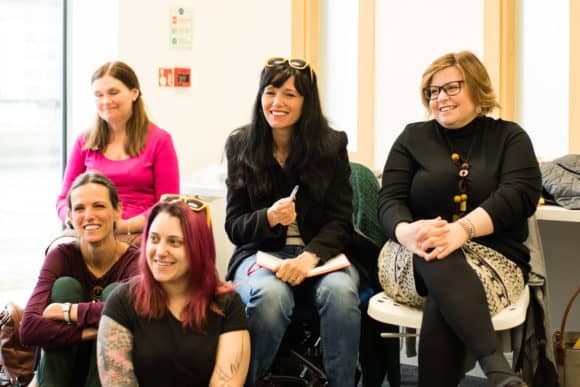 Women contemplating starting their own business this year are being invited to a free information evening to help their dream become a reality. The Coca-Cola 5by20 Information Evening will be held at Dundee and Angus Chamber of Commerce, Unit 37, City Quay, Camperdown Street, Dundee, DD1 3JA from 6-8pm on Tuesday 22 January 2019. The event, the first of its kind this year, will highlight the assistance and support which the award-winning Coca-Cola 5by20 programme can offer. Launched in 2010, Coca-Cola 5by20 is a global initiative with one purpose – to enable the economic empowerment of five million women by 2020. Run in over 60 countries around the world, Dundee is the only city in Western Europe to host the programme. In less than two years, the programme has supported 110 women, 63 of whom have launched their own business and 29 of whom continue to grow their business. Furthermore, 44 new jobs have been created in the process, alongside over 30 volunteer opportunities. Giving ambitious women entrepreneurs the opportunity to share and learn from each other while increasing their business knowledge and confidence, the programme covers core business topics delivered by industry-led business owners or experts. After a week of creative experiential learning, each participant has the opportunity to pitch their business needs to a 10-strong support panel of business experts, harnessing the goodwill and expertise of the business community. Should you wish to attend, please telephone (01382) 228545, book at https://www.dundeeandanguschamber.co.uk/events/Coca-Cola-5by20-Information-Evening_4124.html or email laurenmcgurk@dundeeandanguschamber.co.uk or angieforeman@dundeeandanguschamber.co.uk.